Before starting my culinary career, I took drafting in high school. Combining technical aspects, artistry, and the creation of brand-new things appealed to me. What happens next would forever tie these two passions together. I worked for three restaurateurs when they opened a restaurant called Trio, in Charlotte, NC. One of the owners was an architect. Although hinting of 1980’s style, this restaurant still tops my list of expertly laid out designs. As a chef, I cannot stress enough the importance of efficiency and safety, they are essential. In the 25 years since Trio, I haven’t seen the perfect kitchen. Beautiful design out front and standard equipment in back is where most leave off. 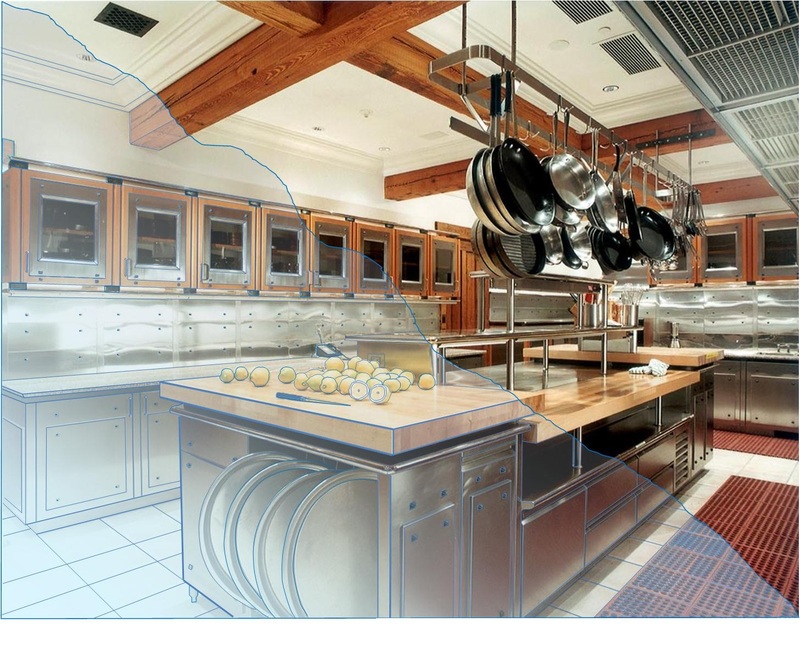 ‘Designing’ a kitchen must integrate the flow of daily activities; a mini food factory and assembly line. Chefs are unique. Translating what a chef requires into what the architect produces is invaluable. Often, owners and decision-makers, including chefs, don’t have the lingo to express these details. Enhance what you bring to your client by adding value to your design.